With the exponential rise in the value of Bitcoin over the last year, interest in cryptocurrencies is higher than ever. Investors, CPAs, and the IRS are all trying to figure out what it means and where we’re headed. The truth is, no one is entirely sure. But, what is certain is that cryptocurrencies aren’t going anywhere and will prove to be a disruptive technology in coming years. As blockchain technology expands into more traditional financial sectors, widespread adoption—rather than a reversal of the trend—seems to be the future. A blockchain is an open-source protocol designed to store authenticated transaction information on a decentralized, secure, anonymous, public network ledger. Blockchains use peer-to-peer transactions to transfer assets on the Internet without the need for a centralized third party such as a bank or government agency. Cryptocurrencies, such as Bitcoin, are acquired and sold on public exchanges similar to traditional investments. But unlike the NYSE or NASDAQ, cryptocurrency exchanges are largely unregulated, run around the clock, and operate worldwide. Although the transactions are anonymous (the parties engaged in the transaction and their personal information are encrypted), anyone can view the action in real time. Every transaction that has ever existed on the blockchain is independently verified by thousands of nodes in the system and is available for review and inspection by all users. Businesses can choose to apply blockchain technologies in a number of ways. For example, when applied to accounting systems, blockchain could ensure that every transaction is authentic, verifiable, permanent, and authorized. Because of this, fraud could generally be more easily discoverable. If someone does perpetrate a fraud, the event can simply be traced to a specific transaction in the public blockchain.For forensic accountants, this provides a major tool for discovering the manipulation of financial data. Additionally, blockchain technology could be used to improve a number of traditionally complicated business tasks such as proving digital identities, issuing insurance, tracking title on property, voting, and more. By far the most well-known cryptocurrency to non-enthusiasts is Bitcoin. Bitcoin and its blockchain were created in 2008 and released to the public in 2009. Its creator (or possibly creators) used the pseudonym Satoshi Nakamoto, and to date, the true identity of who came up with the original concept is unknown. While its valuation has been prone to large, erratic swings in value, it has rebounded each time to reach new highs. Bitcoin has consistently delivered at least 100% return on investment year after year. Early investors and miners (we’ll discuss how cryptocurrency is “mined” in our next post) were often technologists and people within a community concerned about the role of traditional banking systems, government overreach, and internet privacy. 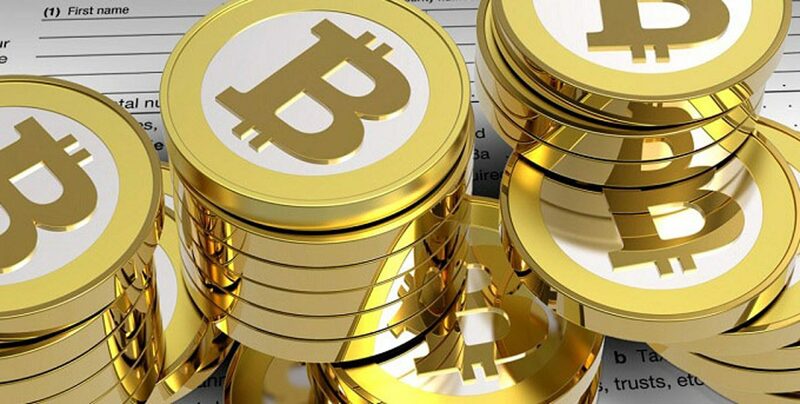 However, as public interest in Bitcoin has grown, and value has skyrocketed (Bitcoin was worth $173 on January 14, 2015; it topped $1,000 on January 1, 2017 for the first time; as of this writing in January 2018, it is worth $11,211.35), more traditional investors have begun to take notice and purchase it. A $1,000 dollar investment made in early 2013 would be worth over $500,000 at today’s valuation. While Bitcoin is garnering all the attention (in part simply because it was the first), it is now just one of many cryptocurrencies operating on a myriad of blockchains. Ethereum, Ripple, Iota, and Litecoin, are just a few of the hundreds of different cryptocurrencies vying for attention and being publicly traded. Each of these currencies has their own specific use case and can be applied in a number of ways. Some are simply a digital store of value like Bitcoin while others provide entire computational platforms. While all are prone to the same type of fluctuations as Bitcoin, the market in general is expanding and growing. In our next post, we’ll discuss how cryptocurrencies are acquired by miners and what the IRS is saying regarding the taxation of digital currencies. Unlike a traditional monetary system like the Federal Reserve where a centralized authority decides when to print currency, cryptocurrency tokens are mined by users that utilize specialized software to connect to a network (and often allow their computer to become a “node” in the network) and in return receive a small derivative of the token. The miners are actually settling the transactions that are occuring in real time in the blockchain. This settling process is what actually moves these tokens from one account to another. The mining process is similar to how credit card companies or banks settle a customer’s daily transactions. This system incentives users to become active on the network, which in turn secures the network against any type of nefarious attack, such as hacking or manipulation. Any attempt to covertly modify a transaction will result in immediate rejection of the transaction. All transactions must conform to strict cryptography standards, which are mathematically impossible to counterfeit. Once mined, the owner of the token is then free to either keep the token in hope of a future return, or sell the token in somewhat the same manner a traditional investor would with a stock. As activity and values related to cryptocurrencies are both trending upwards, so is the IRS’ attention to issues related to the taxation of gains. As a completely new way of generating wealth, which operates outside of traditional banking systems, questions abound as to how it will be taxed. As people are exchanging tokens for large financial gains, rest assured—as with any other type of income—governments will make sure they get their cut. The IRS has stated that even though some vendors will accept digital currency in lieu of “real” currency, the general tax principles that apply to property transactions apply to transactions that utilize virtual currency. Even exchanging one digital currency for another will trigger a capital gain calculation. The amount of time that an investor holds the currency is also privy to the rules of short-term vs. long-term capital gains. In a nutshell, cryptocurrency transactions are treated almost identically to traditional security transactions. The income a miner generates related to their mining activities is subject to standard self-employment taxes. As the use and exchange of cryptocurrencies rapidly expands, CPAs will surely need to perform their due diligence with regards to IRS regulations on how to treat clients’ financial aspects related to this new type of taxable income. Above, we’ve described the concepts related to cryptocurrency mining and taxation in the most basic terms possible. The technology behind these concepts appears relatively complicated; thankfully, understanding this aspect is unnecessary for most of us. But, understanding that digital currencies are here to stay, is important. As a CPA, you’re sure to come across clients who are investing in this realm. Like any other financial aspect related to your clients, it will be important to become informed so that you can give sound, accurate advice and keep them in the good graces of the IRS.